I haven't talked about my plans for January 2013 and for all of 2013. I haven't really known what I wanted and I have had a couple of ideas banging around in my head. I was fascinated by the Ultimate Crazy January challenge this year but I thought I would add my own twist. I was so behind on ornaments this year even though I started months in advance I had no real plan. Which unfortunately left me with about 4 ornaments actually finished finished and another 10 sitting on the spare bed looking pretty. I didn't really feel motivated. My plan for this coming year is simple. 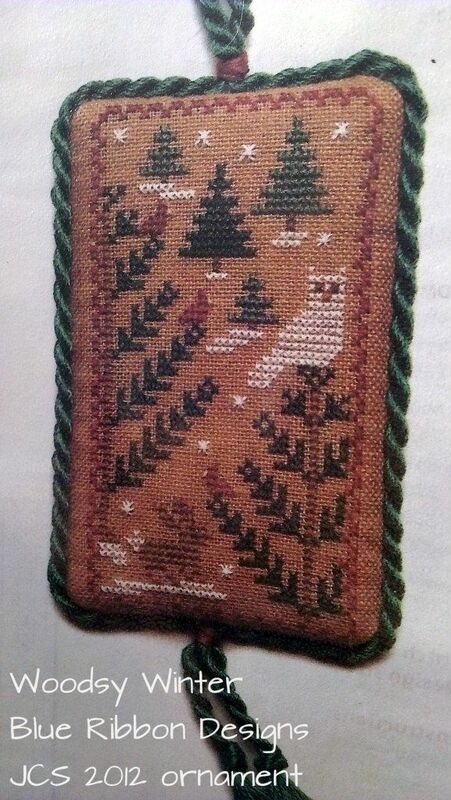 I am going to use January to make starts for a number of Christmas ornaments of varying sizes and designs that I WANTED to stitch this year but just didn't feel motivated or organised enough for. Here is the start of a list and I still need to get all the threads and any fabrics I still need... though I have a tonne of aida and small stuff that should work. 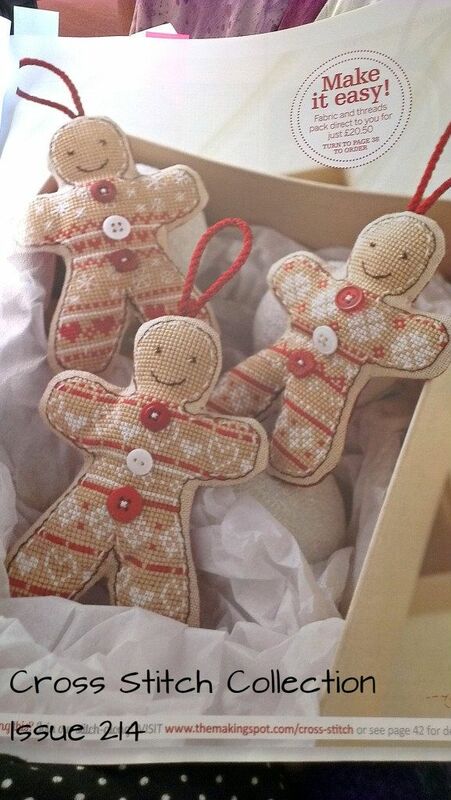 I love the simplicity of these gingerbread men and would love to do all 3 of them. I will probably keep the red and white colouring but that could always change before I start. 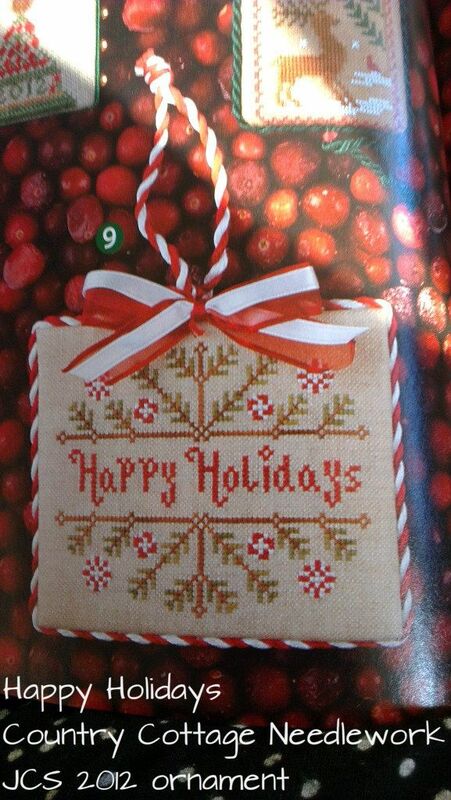 I love three designs from the Just Cross Stitch 2012 ornament issue. I actually loved a lot more but I love the simplicity of these 3 more than anything. A few simple colours and it looks really pretty. 6. 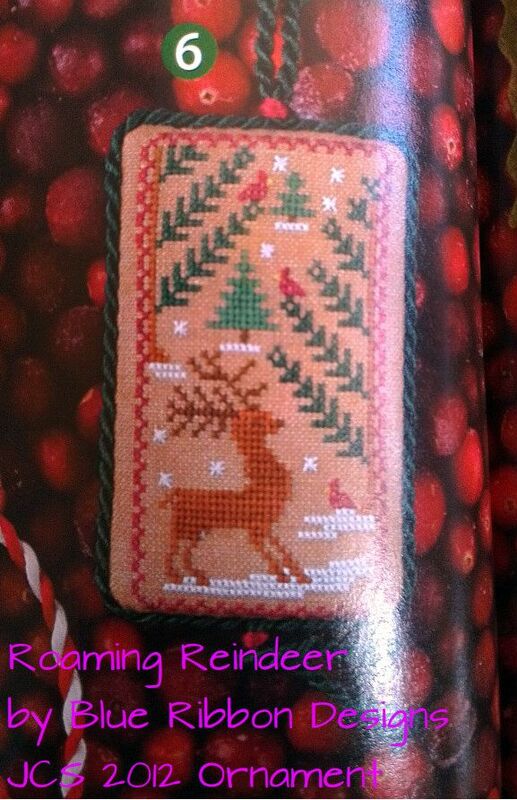 Roaming Reindeer had a companion piece that appeared in the ornament preview issue and I fell in love with that design as well. This one has a really cool owl, which is just exciting! Now I love Joan Elliott's designs and I love the look of all her stuff. 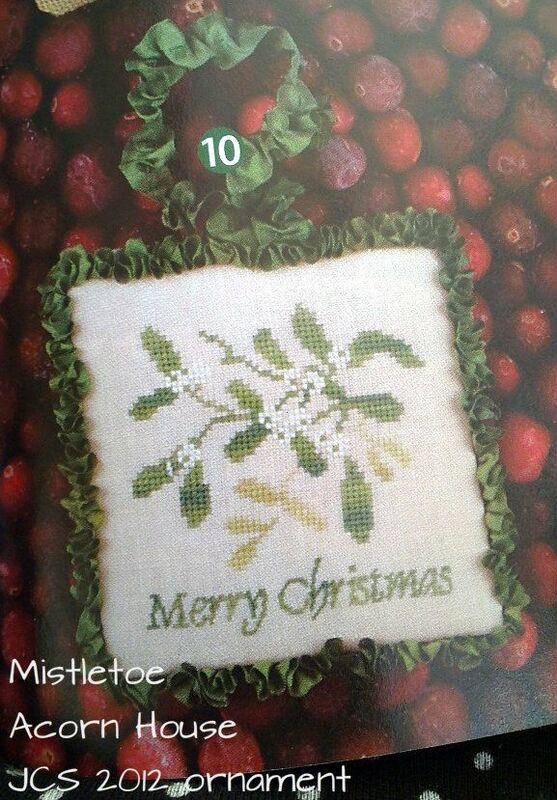 To make this easier on me I got the Joan Elliott Christmas collection with one of the WOCS magazines this year. I'm not interested in the sayings but even taking out those I could easily stitch for MANY days. I love the designs in this section. 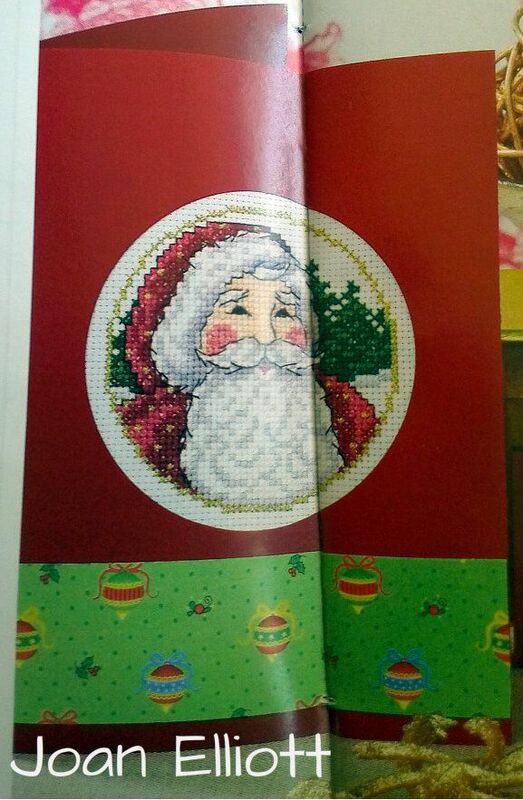 I am definitely going to stitch the santa shown below. 8., 9., 10. & 11. In the next section 'More Than Words' I'm thankfully not interested in any designs. 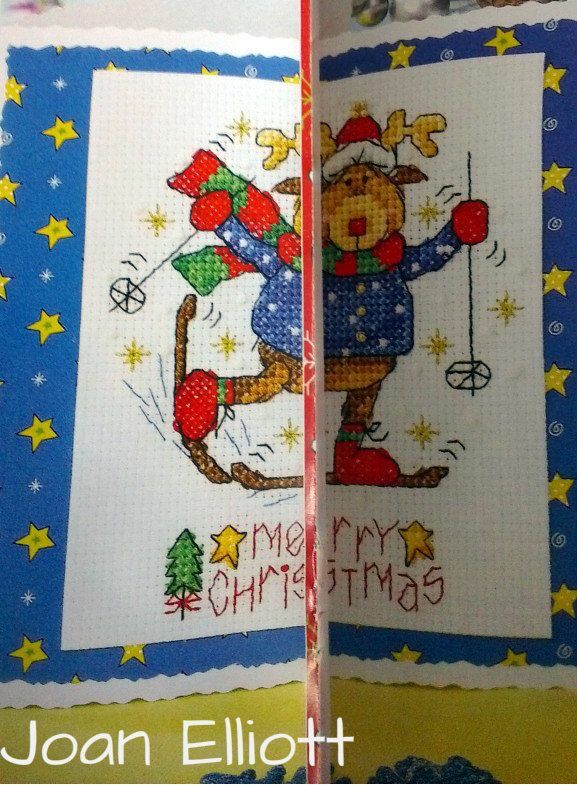 That lack of interest is made up for in the next section 'Festive Friends' which has the cutest reindeer trying to ski. 12., 13., 14. & 15. There are another 4 big designs in this section that I love and 4 little faces as well. 16., 17., 18. & 19. The last section 'Angel Delights' has 4 big designs as well and a couple of cute little ones but I will probably avoid those. 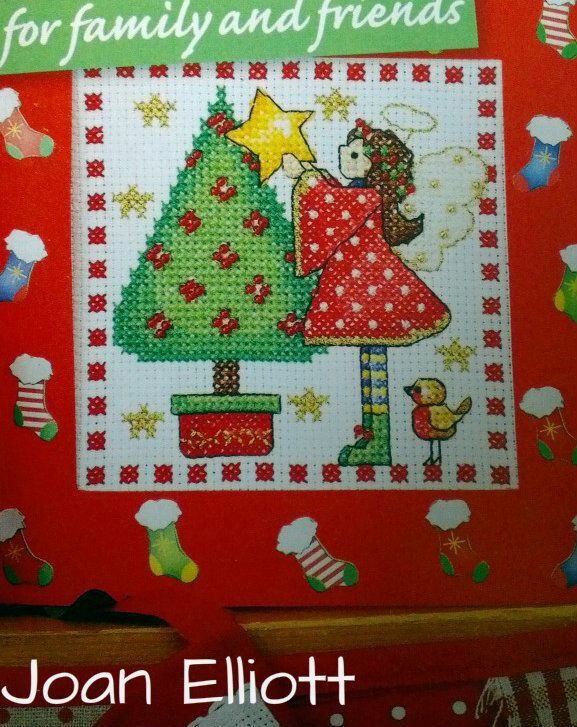 I also love Rhona's Christmas designs I have stitched MANY of her penguins. 20., 21., 22., 23., 24. & 25. 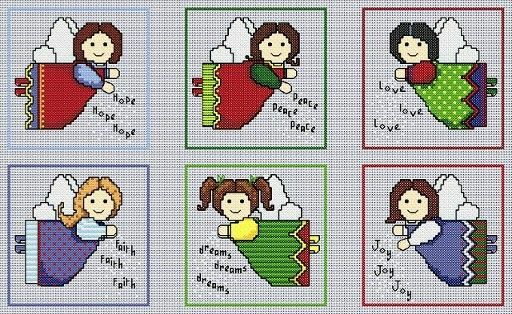 I bought a couple of months ago her Angel Wishes chart and I want to do all the angels there are 6 all told. I think 25 designs is a good start for January. I also have all the Christmas designs I finished last year that I never finish finished. I am not sure how I will actually go as I need to make up a thread list and visit spotlight but it does look promising. So this is my January goals/plans but not my goals for all of the year that will be dealt with in the WIPocalypse post. You will be busy! They all look sweet, but I think I like the gingerbread men the best. Wow Caitlin. What a great bunch of ornaments. The angels are adorable. I love the pics from the Joan Elliott book. Do you know if that book is available to buy anywhere? Those are wonderful goals for January! Then you won't be rushed at the end of the year right before Christmas 2013. Happy Stitching! Love the gingerbread best but they're all adorable! !